Hey gang, Valkor here. 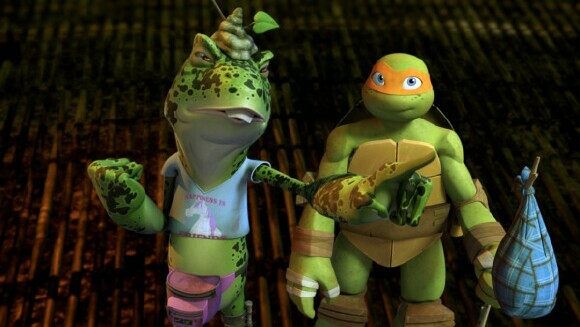 And I don’t know about you, but I’m loving the new Ninja Turtles series on Nickelodeon. I had my doubts when it first aired, but as the show progressed it totally grew on me. It has a nice mix of old and new, with a few nods to the past series and films. The series has entered Season three and the folks at Paramount Home are kicking off the home version with the first season three set: Teenage Mutant Ninja Turtles: The Retreat. It’s definitely not the vacation the Turtles deserve. 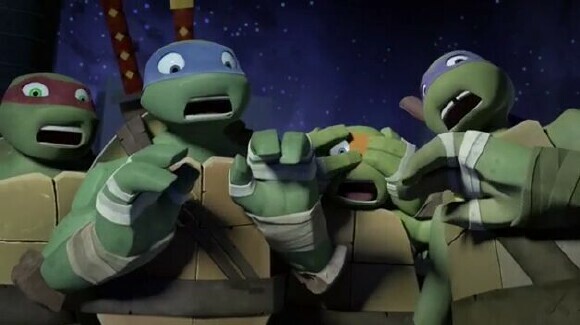 A lot has gone down at the end of season two of the Ninja Turtle series; with the location of the turtle lair discovered, the Kraang begins its invasion of New York, Splinter is taken out by Shredder, and Leo is badly injured battling The Foot. 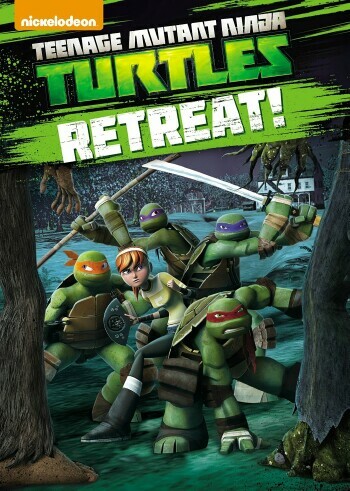 With all odds against them, the remaining turtles along with Casey Jones and April O’Neil are left with only one option – retreat! Within the Woods (Val favorite) – Three months have passed since the team left NYC and each member is learning to deal with their new found surroundings. Leo eventually awakens, but he’s no worse for wear. Plus they crew has a new mutagen enemy to deal with known as “The Creep”. The Croaking – Mikey is enjoying his new farm life a little too much; so much so that he’s more of an annoyance than he is helpful. 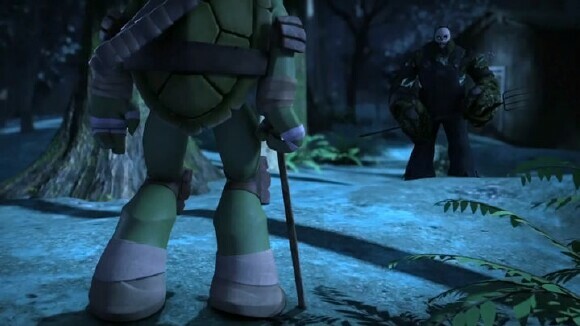 Hearing the negativity against him, Mikey decides to runs away. He comes across a mutant frog named Napoleon Bonafrog (Jon Heder) and the two make themselves out as more than what they really are. 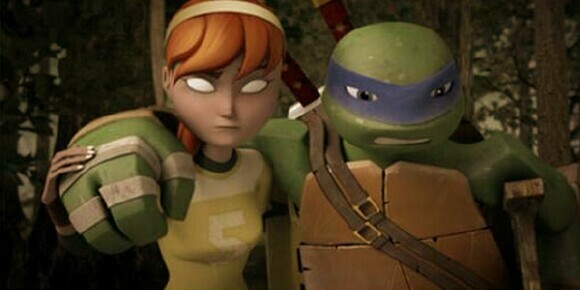 It all comes to a close when Napoleon’s frog buddies attack April and Casey, thinking they're holding the turtles as slaves. 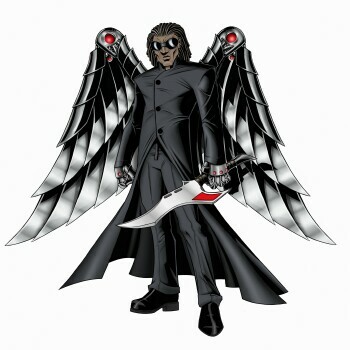 Eyes of the Chimera – Donny has created a device to test out April’s psychic abilities. Only it causes her to link with a mutated fish/worm/bird creature they call the Chimera, allowing her to see through its eyes. 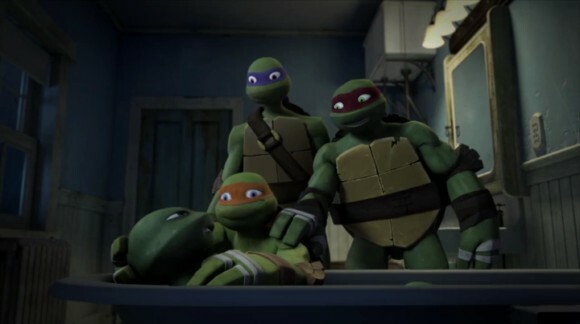 Donny, Raph, Mikey and Casey are captured by the creature leaving a crippled Leo and blind April to save the day. I would have liked for this DVD set to finish with “Vision Quest”, which actually completes the turtle’s adventures on the farm. But alas that doesn’t happen. But the set we’re given isn’t all bad with the episodes it does have. You get one extra, “Mutation of a Scene” and that’s pretty much it. So let’s dive right into the TOV Breakdown to see if TMNT: Retreat is worth its weight in pizza. 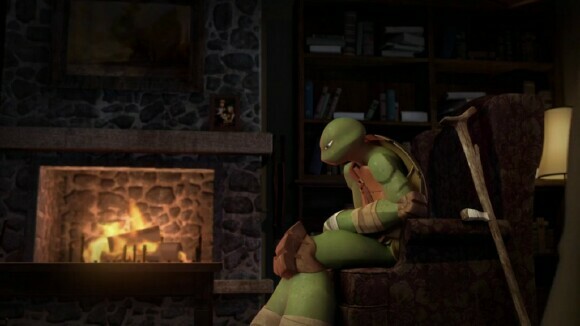 TMNT: Retreat is a bit of a rough start for a series that ended season two on such an intense note. But it’s still a lot of fun and as a fan of the 89 film, the set offers up a nice dose of nostalgia either through some action (watching Raph watch over Leo) or through dialogue (Casey and Donny bantering back and forth), it’s just so much fun! "Within the Woods” is my absolute favorite because the level of horror is higher than most cartoon series I’ve ever watched; I was truly terrified by The Creep and I hope he gets another appearance in the series (maybe in season four??). Seeing the frogs again was also a blast as I completely forgot about those guys; love the revamped look of the characters and getting Jon Heder to pretty much reprise his "Napoleon Dynamite" role as Napoleon Bonafrog was genius and funny. 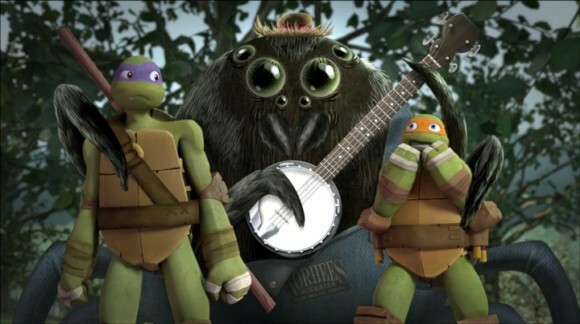 Finally, kudos goes out to Seth Green as Leonardo; I have no doubt of his voice acting skills (Robot Chicken and Family Guy are two of my favorites), but I was a bit unsure if he could pull off the role of Leo. However his transitioning into the role was perfect plus his raspy voice fits the character to perfection, especially given the condition Leo is in. It took some getting used to, but once the set kicked off, hearing his voice felt like he’s been there all along. The beginning of the series stays focused on the farmhouse and we never know exactly what’s going on in NYC. Granted if you’re following the show you already know what’s going to happen, but if all you’re doing is either picking up a set like this then you’re left wondering what’s going on with Splinter, Shredder or Karai. We’ll definitely know by the next set, but I think we could have been given a flash or two of what’s happening to these characters within these first seven/eight episodes of season three. The Creep or Chimera, take your pick they’re both gruesome! Teenage Mutant Ninja Turtles: Retreat is available now and if you’re behind on the series, then picking up this set is the perfect way to catch up. The action isn’t as heavy as how the season two ended, but going into season three… expect loads of fun. And out of TOV 5 stars, I give TMNT: Retreat a 4.